The UK Information Commissioner’s Office (ICO) has fined Facebook £500,000 for ‘serious breaches of data protection law’, the maximum penalty it can impose under previous legislation. The fine related to the Cambridge Analytica scandal, when more than 310,000 Australians may have had their data improperly shared with Cambridge Analytica, according to a Facebook update in April. Facebook collected the information of up to 87 million people, mostly in the US, illegitimately, up from the 50 million people originally published. This includes up to one million UK residents, according to the ICO. In July, the ICO issued a Notice of Intent to fine Facebook as part of an investigation into the use of data analytics for political purposes. After considering representations from the company, the ICO has issued the fine to Facebook and confirmed that the amount – the maximum allowable under the laws which applied at the time the incidents occurred - will remain unchanged. This fine was served under the Data Protection Act 1998, which was replaced in May by the new Data Protection Act 2018, alongside the EU’s GDPR. These provide a range of new enforcement tools for the ICO, including maximum fines of £17 million or four per cent of global turnover. Elizabeth Denham, UK information commissioner, said Facebook failed to sufficiently protect the privacy of its users before, during and after the unlawful processing of this data. “A company of its size and expertise should have known better and it should have done better,” she said. 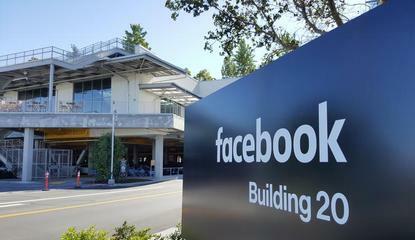 Facebook launched an eight-week marketing campaign targeted at Australian consumers in June. As part of a broader communications campaign, ‘Here Together’ was launched to drive awareness of the changes Facebook has made to protect people's privacy, remove fake accounts from the platform and ensure people have a positive experience using the platform.